HOW CAN ACUPUNCTURE HELP ME IN PREGNANCY? 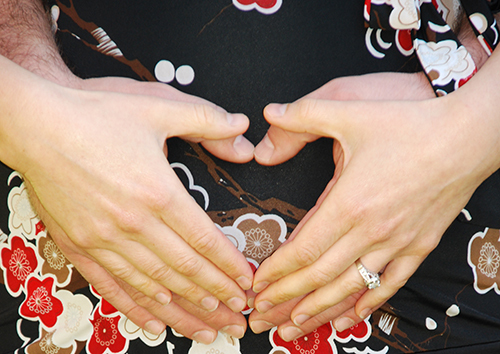 Acupuncture is a safe treatment during your pregnancy, a time when medications must be taken with care. You’re pregnant! That’s great news. What an exciting time! As no two pregnancies are the same, some women look radiant and “glow”, but others find the experience overwhelming and daunting.Your body is undergoing a lot of changes, some of which you may have heard about, but many others you will not have expected. Acupuncture is a safe and reassuring way of helping and supporting you as your pregnancy progresses and preparing you for the birth of your child.I have listed below some of the more common problems that can arise in pregnancy, but please call me if you are unsure about your personal case and we can discuss whether acupuncture would be suitable for you. Studies show that moxibustion treatment is a safe and effective way to turn a breech or posterior baby. No needles are used. Treatment can start from around 33 weeks. According to the BAcC moxibustion has a 80% success rate of turning breech babies. If your baby is overdue acupuncture can be an effective alternative to medical intervention, providing a gentle inducement to labour. Weekly treatment during the first 12 weeks may help to reduce the risk of miscarriage. It can also help with morning sickness, anxiety, tiredness and disrupted sleep patterns which you may be experiencing at the beginning of your pregnancy. Unless you have any symptoms causing you discomfort, I recommend letting the body do it’s own thing in the second trimester. However, if you are experiencing headaches, backaches, heartburn, etc. or are feeling anxious, then I suggest coming in for treatment, as acupuncture can be a great support in alleviating such symptoms. To help your body prepare for the birth of your baby my treatment prepares your body for birth by gently encouraging the cervix to ripen and dilate, relaxing the ligaments and regulating hormones. Research has shown that having weekly acupuncture treatment from 36 weeks can reduce the average labour time and improve the chances of a natural birth without intervention. For research and trials on pregnancy and acupuncture see the British Acupuncture Council information page.